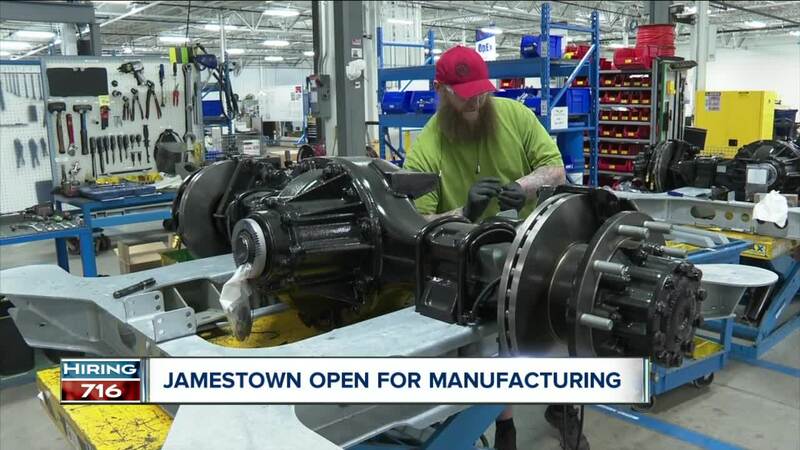 Jamestown is slowly becoming a manufacturing hub in Western New York. New Flyer is one of the country’s largest manufacturers of transit buses. The plant in Jamestown has been open since 2016, in a former grocery store. New Flyer has a $95 million contract to supply buses to the New York City Transit Authority while needing to ship parts to their hub in Minnesota, which makes Jamestown an ideal location. It’s why they have been working with Invest Buffalo Niagara to get companies like New Flyer into the region. When New Flyer moved in, they only anticipated creating 32 jobs, but in just under three years they have hired 70 local people. “Proves that we do have the right work force, the right talent here to help companies grow and expand,” says Lorrie Abounader, with Invest Buffalo Niagara.